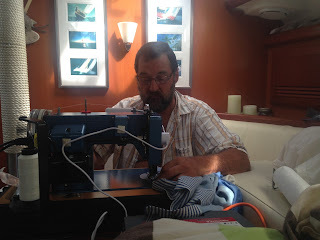 Today we got out the Sailrite Sewing machine for some little projects. Our American and Bahamian flags are getting tattered blowing in the wind. We took them down and reinforced the ends. 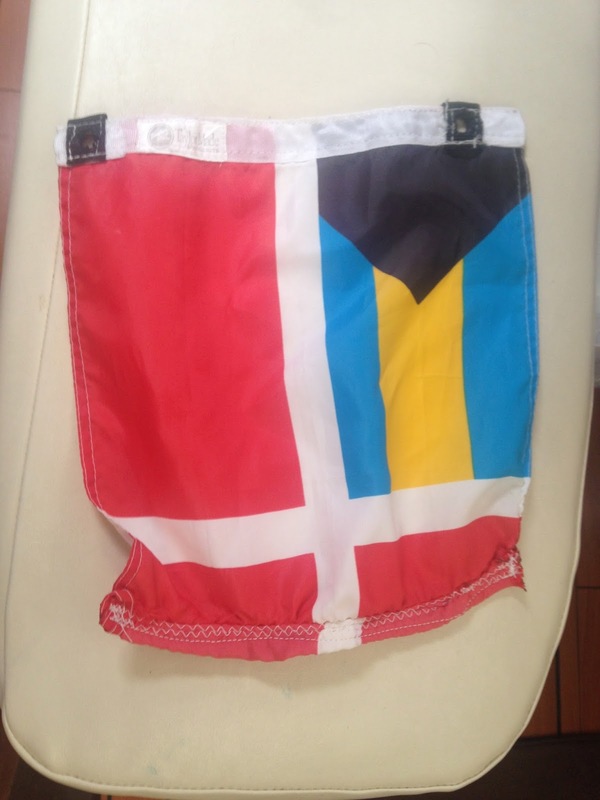 We decided to order a new Bahamian flag and have friends bring it with them when they visit. We bought Turkish towels this summer. They are thin cotton and dry much faster than the usual bathroom towels or beach towels. Each towel has tassels at both ends which are annoying. 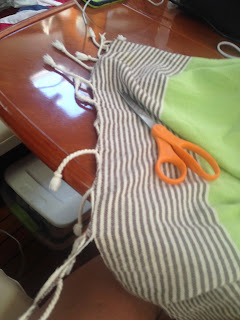 So we decided to cut them off and hem the ends of the towels. We had an assembly line going. I made an awesome oriental dinner using some of the mahi mahi we caught earlier. 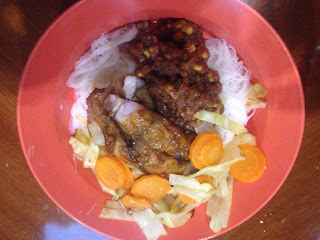 I used a chicken satay recipe with peanut sauce that I had. Turned out pretty good. And there was plenty for 2 meals. 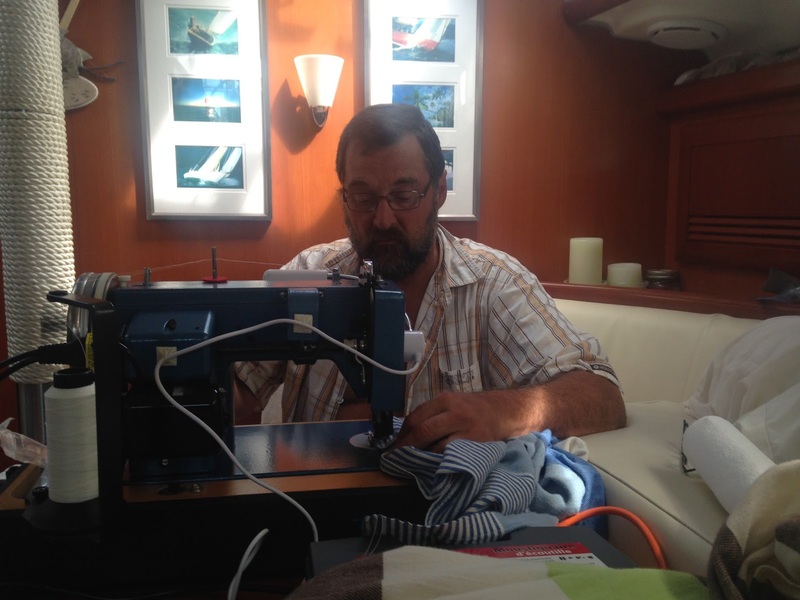 After hearing the latest weather report, we decided to head back to islands with better wind protection. We would need a 3-4 day window of calm weather to explore some of the areas we are interested in. Doesn’t look like that’s going to happen for awhile. So tomorrow, we will position ourselves to leave on Thursday for Clarence Town, Long Island.